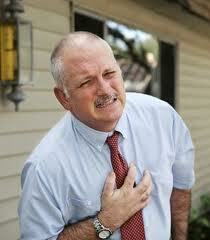 Angina or Angina pectoris treatment is given with drugs that reduce heart attack symptoms. These drugs affect the supply of blood to the muscles of the heart and fulfill the supply of oxygen to the heart muscles. These drugs are called coronary vasodilators and make blood vessels to dilate or relax. This causes the inside opening of blood vessels to become enlarged. Flow of blood improves to allow more oxygen supply to the heart muscles. Most commonly the drug nitroglycerin is used. The function of this drug is to relax the veins and affected arteries a little. When veins are relaxed, the amount of blood that returns to heart is reduced thus reduces the workload on heart. Many invasive techniques that improve the blood supply of heart are used for the treatment of angina pectoris. One of such techniques that describe treatment for angina pectoris is percutaneous transluminal coronary angioplasty which is also known as balloon dilation/ balloon angioplasty, angioplasty, PTCA or PCI.